In November we received an Action Alert from the National Grange concerning U.S Senate Bill S.510. This bill was being debated on the floor in the Senate and we were asked to oppose it. S.510 is the FDA Food Safety Modernization Act. The Senate did pass this bill at that time. The House had already considered a similar bill, H.R. 2749, which passed the House in August 2009. The bills have many similarities but are not identical. At the 144th National Grange Convention that was held in November, the Food Safety bills were discussed. The Grange policy supports strong inspection standards for animal and human food for consumption. We also encourage the United States Department of Agriculture (USDA) and the Federal Drug Administration (FDA) to work together and be allowed to order food recalls or close down firms with severe violations. 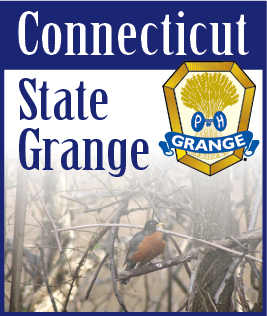 The National Grange also encourages the USDA to develop education programs concerning the safe handling of food. The National Grange is concerned with part of the legislation which would increase record keeping that food producers would be required to do. The act requires inspection of facilities and tracking the process of food production phases. They are requiring that records be kept from production inputs used and every step right through to the consumer. The National Grange feels that this would bury farmers and ranchers with large amounts of paperwork. There was a resolution that was attached to the Senate bill that exempts small farms that sell food directly to grocery stores and consumers from these requirements. The act also requires the establishment of FDA office facilities in other countries from whom we import food. What happens next is that either the House will take up the Senate bill as it stands, or a committee will fuse the two bills and re-present it to each chamber. Expect to see the combined bill during the coming session after the legislators return from the winter break and the new members are sworn in. These bills are in response to the E-coli outbreaks that occurred with spinach and tomatoes not too long ago. Also, there has been some information regarding changes in Medicare coverage. Application of the Improvement Standard is becoming applied as standard practice for Medicare coverage. In other words, people with chronic conditions are being denied skilled services that they need to avoid further deterioration. This Improvement Standard is not part of the Medicare statute and conflicts with the law. The statutory standard for care is medical necessity, not improvement. Some members of Congress have joined together in opposing the application of Improvement Standards. They have sent a letter to the Center for Medicare Management expressing their concern about this practice. We will be watching this to determine what evolves and will update you as we learn more.